There's a ton of value in there. And our collection of merchant partners is still growing. Rapidly. It's great because everyone can find a local deal in their community. 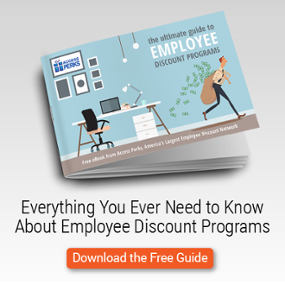 It's the main factor in what makes us different from every other employee discount program in the marketplace. But having the most deals isn't enough. What truly matters is being able to give employees the right offer when they need it. That's when engagement accelerates. With that in mind, we're proud to introduce the latest update to the Access Perks mobile app. 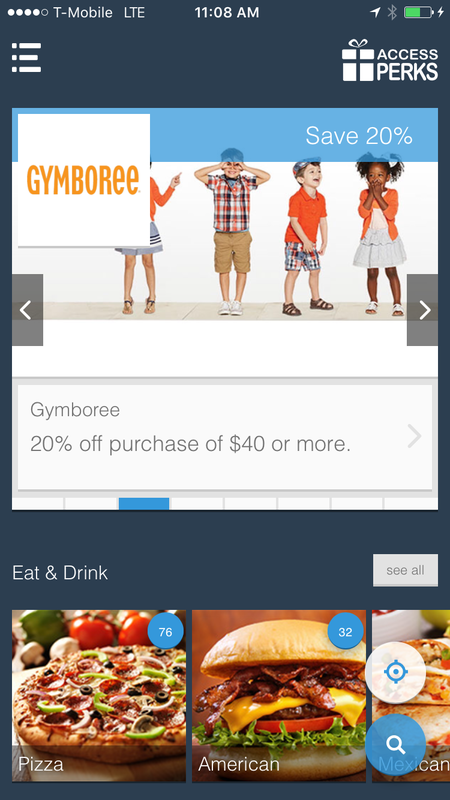 The app is designed to make it easy for every user to find deals they can be excited about. From the registration process to keeping tally of how much they've saved, the new Access Perks app is a money-saving machine for your employees. The Access Perks employee discount program app is built on the same platform as Access Development's My Deals Mobile app. They wrote an in-depth breakdown of the new features, plus a quick video overview, over on their blog. Everything that happens in the Access Perks app is designed to save your employees hundreds of dollars. That means great local deals on the purchases they make every day: food, clothing, entertainment, repairs, more. In-store shopping still comprises over 90% of spending, and consumers are increasingly relying on mobile coupons to help them save. We're there with them, and our new app makes it easier than any other available. Our existing clients and users simply need to update their apps within iOS or Google Play. Any questions or concerns? Just hit the "need help" button on the registration page, or click "help" on the navigation menu (found by swiping from left to right across the screen). Not an Access Perks client and want to try the app out for yourself? Click here to contact us today for a demo and a free personal trial.